We announce with great sadness the passing away of Smt.Parvathamma at 11 AM on 29 January 2019. 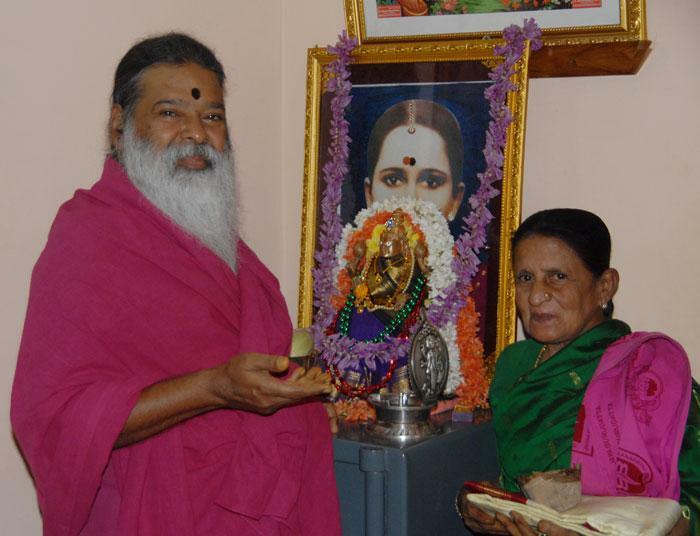 Fondly called as Chikkamma, she was younger sister of Jayalakshmi Mata and aunt of Pujya Swamiji. Devotees of Pujya Swamiji are thankful to her. She volunteered services in the Ashrama kitchen store. We miss her compassionate, calm & respectful demenor she dealth with us all.